Milton, the leading expert in sterilising, recently launched its new plant based Antibacterial Hand Gel, designed to help ward off the winter bugs. The gel is effective in just 30 seconds on bacteria, mycobacteria, fungi, viruses and 99.9% of germs. 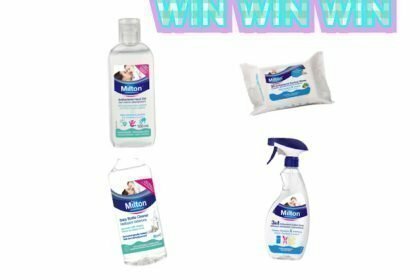 London Mums are giving three parents the opportunity to win a Milton product bundles including some of the items from the latest range. London Mums magazine have teamed up with Country Living Spring Fair to give you the chance to win a pair of adult tickets worth up to £32. We have 10 pairs to give away so spread the word. Taking place at Alexandra Palace from 28-31 March 2019, the show will welcome an unmissable shopping experience to kick start the spring season in style! You will be able to discover new, innovative ways to introduce country style to your home and garden, and shop from over 350 independent, artisan brands showcasing everything from jewellery and high-end fashion to home interiors and home-made accessories.